New Delhi, Dec 1: Union Finance Minister Arun Jaitley on Thursday told the Delhi High Court that Chief Minister Arvind Kejriwal's counsel were asking "irrelevant questions" to delay the trial in a defamation case filed by him. Jaitley was being cross-examined by Kejriwal's counsel in a Rs 10 crore defamation case he filed against Kejriwal and other Aam Aadmi Party leaders for their statements regarding alleged irregularities in the Delhi and District Cricket Association (DDCA). Kejriwal's counsel have not asked any question on alleged defamatory remarks, after which Jaitley filed the defamation suit, the Minister's counsel told HC Joint Registrar Rakesh Pandit. Jaitley sought an early hearing of the case, but Kejriwal's counsel opposed it. The court has posted the cross-examination of Jaitley to February 2, 12 and 13, 2018. 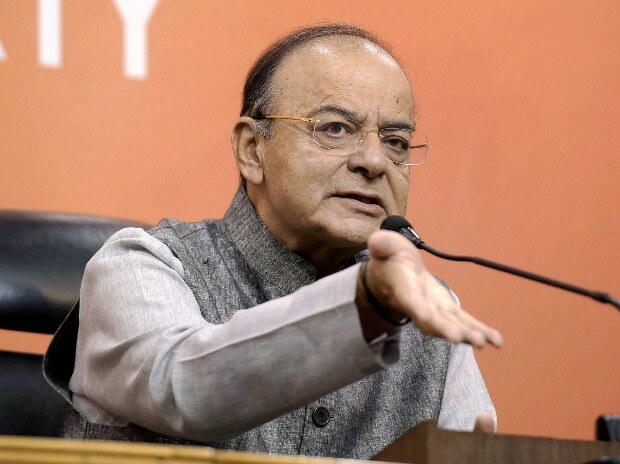 Jaitley, during his cross-examination, denied that he had not replied to several letters from suspended Bharatiya Janata Party MP Kirti Azad on alleged irregularities in the Syndicate Bank Cricket Club transfer matter. Jaitley filed the civil defamation case in December 2015 against Kejriwal and AAP leaders Kumar Vishwas, Ashutosh, Sanjay Singh, Raghav Chadha and Deepak Bajpayee, claiming that they had made "false and defamatory" statements vis-a-vis DDCA affairs, thereby harming his reputation. Jaitley sought Rs 10 crore in damages from Kejriwal and others. He claimed the AAP leaders attacked him over alleged irregularities and financial bungling in Delhi's cricket association, of which he was the President for about 13 years.